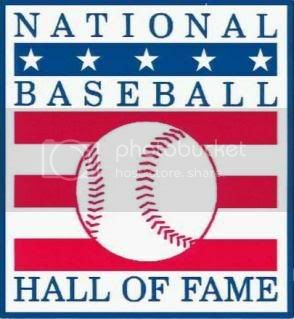 Baseball Writers of America got one right in my mind with this years induction to the Hall of Fame. Andrea Dawson or "The Hawk" was elected to this years Hall of Fame after nine years on the ballot and will be inducted along with manager Whitey Herzog and umpire Doug Harvey. As a kid growing up there were two players I idolized over the rest, Ryne Sandberg who made it into the Hall a few years ago and Andrea Dawson. Dawson was one of the most exciting players of my generation. His combination of speed and power were something few could and will ever match. This stat show this as Dawson is one of only three players in Major League baseball history that had over 400 home runs and 300 stolen bases. The other two people to archive such a feet if you didn't already know were Willie Mays and Barry Bonds. Aside from just great speed and a powerful bat the Gods also touched Dawson with a Cannon of an Arm and a respect for the game that you rarely hear about in this day and age. Dawson played the game because he loved the game and his actions described this more than his words. As the story goes after 10 years as an Expo, Dawson's knees could not take anymore pounding in right field from an unforgiving artificial turf in Montreal. Dawson agent at the time thought about taking a risk and so they faxed over a blank contract to then-Chicago general manager Dallas Green to fill out. Green apparently called them back a short while later and told him the best they could do is 500,000.00. Green actually expecting that Dawson would say no was somewhat started when Dawson agreed and told his agent he would have to return their call when Andrea asked when does he report to camp. Over the next few days and weeks you will read quotes from former players about his work ethic. One of my personal favorites was from former cub shortstop Shawon Dunston "People always talk about intangibles. He had his bad knees and never complained, not once. He never asked to come out of the game, if we were winning 10-0 or down 10-0. 'Zim" had to ask him, 'Andre, do you want to come out of the game?' and Andre would say, 'Zim, you're the manager. I'd prefer to stay.' Dawson didn't want to stay in the game because he had a clause in his contact that stated if he played so many innings or if he got so many at bats he got a bonus. He stayed in the game because he was a ballplayer and that’s what he did. One of my favorite baseball memories growing up was when I was a kid. It was actually my very first cub games. I wish I could remember the specifics, day, year, final score but I can’t (I do remember that the cubs did win). It would have been sometime in 1989 or 1990 I believe because I do remember it was a night game. My father had won some tickets to a Cubs/Pirates game and taken us boys up to see them. I remember my brother who was a Cardinal fan wanted to leave when the game went into extra innings but I wouldn't leave. This was my first game a Wrigley Field and I was in it for the long hall. At some point in the late hours of the evening Andrea Dawson stepped out of the dug out to pinch hit. Now I know what you are thinking, “if this is one of his favorite memories as a kid Andrea must have hit a game winning home right?” Actually I'm pretty sure he struck out, but what made the moment so special was the reaction from the crowd. This might possibly be, to use a wrestling reference, one of the biggest "pops" i have ever heard in my life. The moment he stepped out of the dug out the crowd exploded. I still get goose bumps today thinking about how loud that pop was. I just want to take a moment as a Baseball fan to say thank you to one of the hardest working men in the business and as a Cub fan for 6 of the best years of your life.